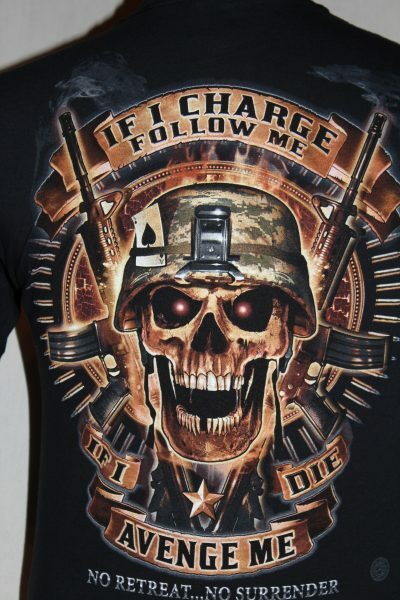 The If I Charge Follow Me T-Shirt is a two sided print in black. 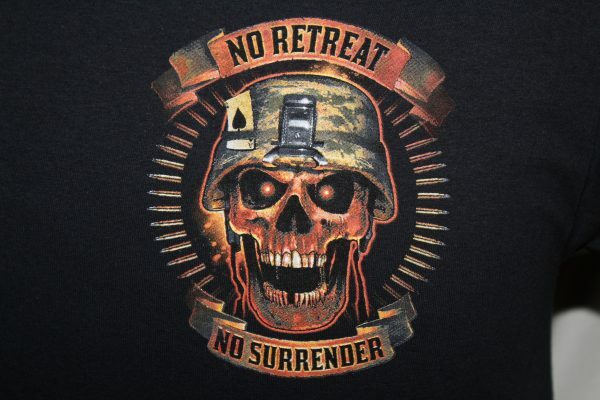 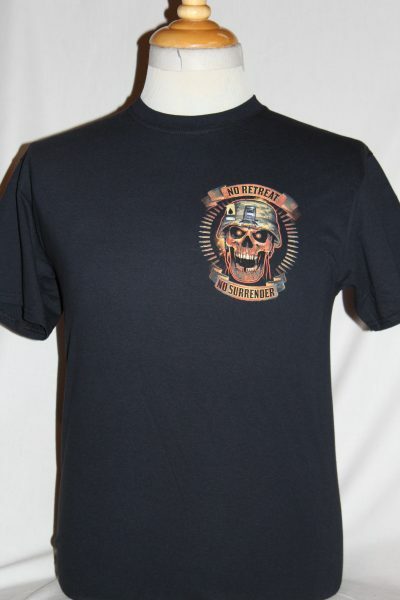 Front Design: Left chest image of a skulled helmeted warrior. 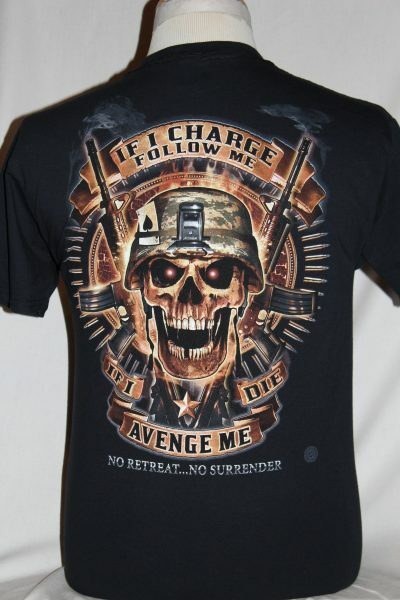 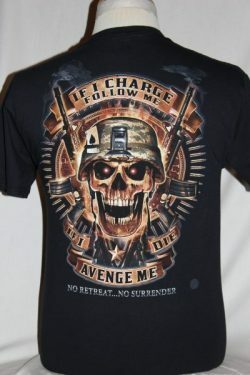 Back Design: A large image of the front with crossed AR15's, bullets, and text.